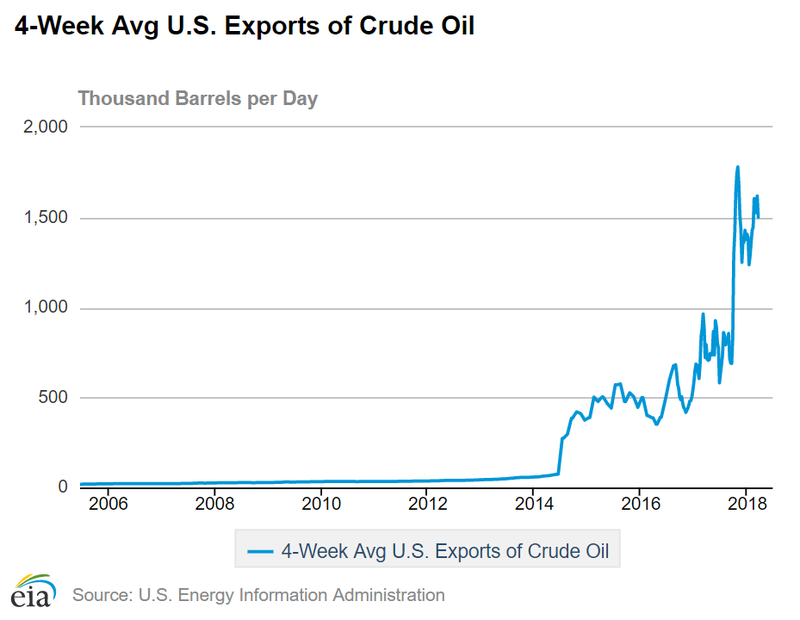 In 2006, following 35 years of declining U.S. oil production, net monthly imports of crude oil and finished products had climbed to more than 13 million barrels per day (BPD). What’s happened since is nothing short of amazing. Last week, the Energy Information Administration (EIA) reported that U.S. crude oil production had reached 10.38 million BPD. This represents an increase of more than 1.2 million BPD in the past year and is more than 5 million BPD higher than March 2006 production levels. U.S. crude oil demand has fluctuated a bit in recent years but presently stands at just over 20 million BPD, which is about the same level as in 2006. Given the 10 million BPD difference between U.S. oil demand and U.S. oil production, one might think that the U.S. is still dependent on foreign countries for 50% of our crude oil. But it’s more complicated than that. U.S. refineries have invested billions of dollars into equipment to process heavy, sour (i.e., contains sulfur compounds) crudes. Most of the new oil production in the U.S. is light and sweet, which isn’t as economically attractive for refiners who have invested in equipment to process the lower grades (which are much cheaper). Net finished petroleum product exports. Note that this graphic reflects the difference between the finished products we import and those we export. Net imports of petroleum and petroleum products. Last fall the International Energy Agency declared in its World Energy Outlook 2017 that the U.S. could be a net exporter of oil within a decade. On the current trajectory, net imports could indeed turn into net exports in 2020. Incidentally, 2020 is also the last year that the IEA projects that supply growth will keep up with demand growth — given the present level of global investments. I will address that possibility in the next column. This is not going to happen and I will explain to you why. Let us look at US production, consumption and export figures for 2017. The US consumed an estimated 20 million barrels a day (mbd), produced 9.3 mbd thus it had to import 10.70 mbd. These figures stand irrespective of whatever the US has been exporting. The projections for 2020 are that the US will consume 21 mbd, produce 12 mbd thus it will have to import 9 mbd. If you are telling us that US petroleum imports in 2020 could fall to zero, then this means that the US will be producing some 21 mbd. This is not only impossible but excessive hype reminiscent of the data both the IEA and the EIA have been publishing about increases in US oil production and rises in US crude oil and gasoline inventories. It could not be a coincidence that the publications of the IEA and EIA figures always coincided with rises in the oil prices? I think we are going to do it !